Your home for Affordable Office Cubicles Houston! At Clear Choice Office Solutions we do our best to understand what our customers are looking for when purchasing office cubicles Houston. We ask questions like, what style of office cubicle are you looking for? How many stations do you need? 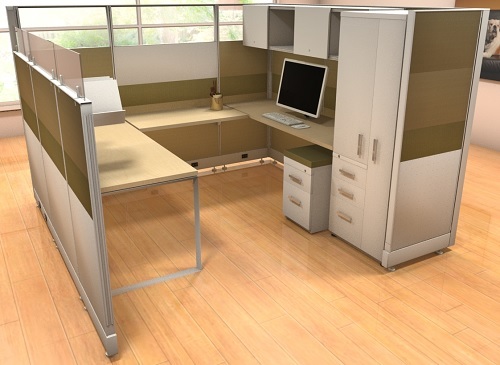 What size office cubicle do you require? With this information we can start to assess your office furniture requirements and start making the appropriate recommendations. We offer free consultations and we will come to your office and do a site evaluation free of charge. During this initial consultation we go through the process of taking measurements of the space and perform a complete visual assessment on the location where the cubicles are to be installed. Then we go back and have our designers create your space in 2 and 3 dimensional views. This way you can see the finished product before you commit to buying anything. We know your time is valuable, and we go to great lengths to make sure when shopping for office cubicles Houston, your experience with us is a positive one. Check out our New Office Cubicles Gallery! Tile System office cubicles offer a frame and tile system with enhanced structural integrity, ease of installation, and unlimited design possibilities. Tiles offer a superior sound experience with full acoustical tiles that are also tack able. Power and data are available at beltline or baseline, with a large cable lay-in capability. Available in a variety of sizes and materials to allow for creative freedom in designing all your workspaces. System 2 office cubicles are a sturdy panel system featuring full length steel and aluminum connectors, and can be installed easily by one person. The honeycomb core construction meets or exceeds industry standard for strength and longevity. A lifetime warranty is offered to the original owner. Grow your team size or restructure a department quickly and easily, with panels that reconfigure as needed. An economical solution to all your office environment needs, System 2 is also available on our 5 & 10 Day Quick ship program in more than 20 fabrics and finishes. Desk-Based and Benching Systems combine the design flexibility of a segmented system with the ease of installation of monolithic. Multi-finish segments ship in pre-fabricated monolithic panels, for the best of both worlds. Novo will soon be your go-to favorite, featuring a slim base, updated storage, leg and work surface options and a fresh new Cloud White finish. At Clear Choice Office Solutions we offer the most current designs and styles of Office Cubicles in Houston. 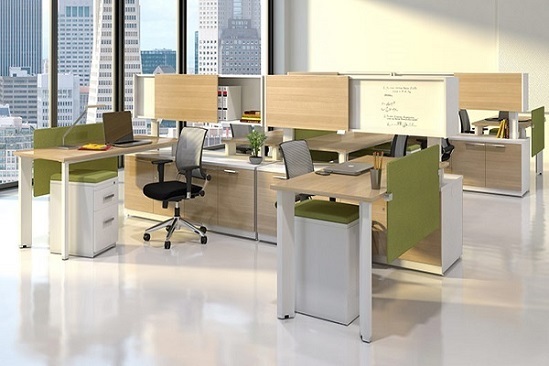 Our most popular office cubicles are our Modern Verity Benching System. These cubicles create office space to support the many types of open business environments for an updated look across the office. This updated office cubicle system can easily expand existing workspaces or build in privacy with elements such as fabric screens, glass, and storage. Seamlessly connect everyone at the bench with power and data running discreetly underneath the surface. Create a well-balanced open office with Verity benching, available with the new Walnut worksurface and Cloud White finish. Check out our Benching Cubicles Gallery! Novo office cubicles from Clear Choice Office Solutions combine the design flexibility of a segmented system with the ease of installation of monolithic cubicle system. We offer multi-finish segments that ship in pre-fabricated monolithic panels, for the best of both worlds. We are sure that Novo will soon be your go-to favorite, featuring a slim base, updated storage, leg and worksurface options and a fresh new Cloud White finish. Office Cubicle Parts, Panels Extenders and Dividers in Houston! Cubicle panel extenders fit on top of your existing panels to enhance worker privacy and productivity. These adjustable extensions are designed to fit standard panel systems from all the major office furniture manufacturers; so it doesn’t matter what brand of cubicles you have on site. You can easily add better function and higher value to your current panel system with our innovative product. Your employees will immediately notice the way these panels reduce noise levels and help them focus. Clear Choice Office Solutions has one of the largest selections of office cubicles Houston. We offer free cubicle design renderings. 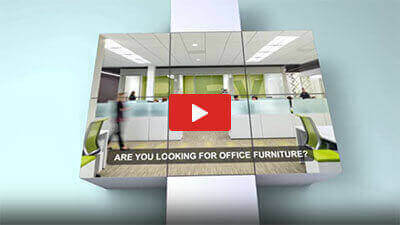 We can show you what your new cubicles will look like before you commit to buying them.